It is not often that we see our passion projects become successful businesses. Seth Browarnik, a photographer, did as he watched his once small business grow to become a go-to for high-profile celebrity photography. 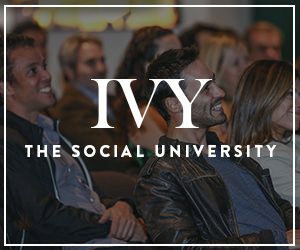 Over the course of this IVY Ideas Night, Browarnik discussed his journey and to gave members valuable lessons in how to pursue passions to dominate niche markets. This IVY Ideas Night is presented by smartwater®.